Our Kid's Hand Bell Choir is under the direction of our Christian Education Director Deena Wolfe, and is new this year! The Kid's Hand Bell Choir is open to all children ages pre-school through 4th grade, and uses a color coded system. No musical background is needed! Rehearsal take place during Sunday School. 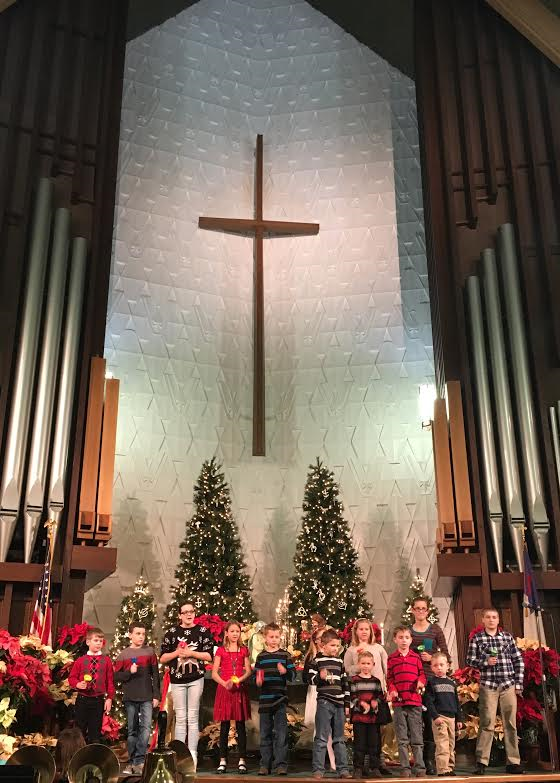 Our Kid's Choir is under the direction of our Christian Education Director Deena Wolfe. The choir sings during worship service on special Sundays throughout the year. Children ages pre-school through grade 6 meet weekly on Sunday mornings from 10a-10:15a for rehearsal.